Please provide us with a list of preferred dates or a description of the time period that you are considering. As part of their support for the community, the More-Molyneux family has set up two small charitable trusts – the Loseley & Guildway Charitable Trust (LGCT) and the Loseley Christian Trust (LCT). The LGCT aims to support charities which are working in fields in which the Trustees are particularly interested. Whilst the emphasis is on those operating in Surrey and the surrounding counties such as CHASE and Disability Challengers, some support is also given to a few charities that are operating in similar fields abroad. The LCT, as its name indicates, supports Christian charitable work. Although the Trust donates money to other Christian causes, its main focus is on the work done at Loseley and the Chapel through the Christian Cancer Help Centre and the Parkinson’s Disease Ministry. Click here for more information. 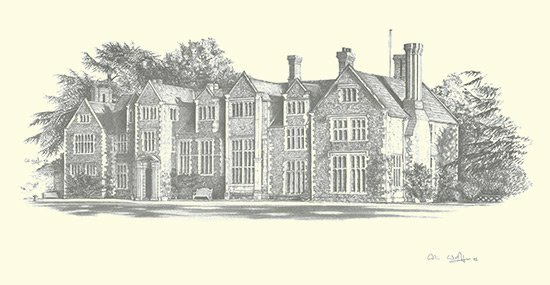 The Loseley Estate spreads over 1400 acres of farmland, woods and parkland, from the southern slopes of the Hogs Back to the western and south western outskirts of Guildford and from there to the borders of the villages of Compton and Binscombe. The last few years have seen dramatic changes with the decline in the importance of farming, the development and success of the dairy products’ business, and the disposal of that to enable investment in the fabric of the estate. In the last 20 years, the leisure and events business has been developed and a wide variety of businesses have moved onto the estate into the refurbished farm and dairy buildings. AMT Marketing Ltd is an independent and well established Promotional Gift House with a great reputation and a wealth of knowledge and experience. We have over 10,000 items in our range, from clothing to business gifts. 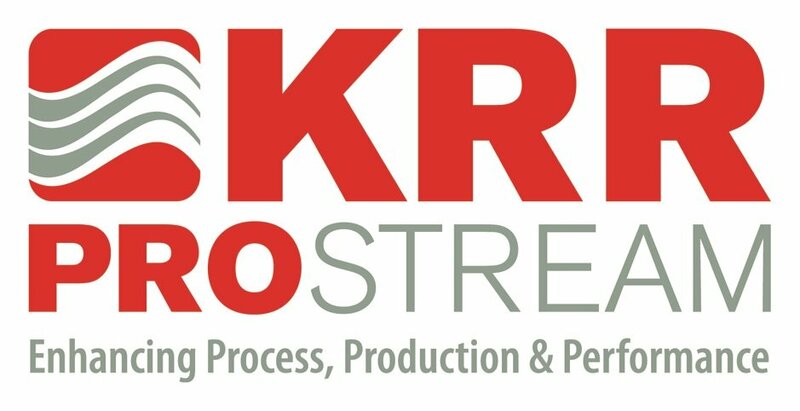 KRR ProStream is an engineering company providing both cleaning services and machinery to the UK Energy from Waste Power Sector. Our base at Loseley is both our workshop, warehouse, offices and training centre. We operate all over the UK sending teams out to clean the boilers in the Power Stations using our Bang&Clean Technology as well as having a dedicated team of engineers who service the Shock Pulse Generators that are installed permanently on the Plant Boilers. We work throughout the UK and Ireland, and can mobilise within 24 hours of an enquiry. Evensure Management Limited is a privately owned company providing security services to a range of private and commercial clients. The services we provide include Security Guarding, Mobile Patrols, Keyholding & Alarm Response as well as Remote CCTV Monitoring. We have been operating since 1997 and hold SIA Approved Contractor Status (ACS) as well as operating in accordance with the latest BS EN ISO 9001 standards for Security Services. Properties on the Estate available for let include cottages, offices, stores and warehouses, workshops and small manufacturing units. Easy access to Guildford and A3. All Enquiries to: Tom Mason at Strutt & Parker – 01483 400770. We are looking for part time Catering staff in our Tea lawn hut from May through to July with some dates in August. Flexible working hours. Required part time from May through to August. Duties to include mowing, strimming and some fencing. Flexible working hours. No photographs that are are taken at Loseley may be sold commercially except with the written permission of Loseley Park. Modest but pleasant hotel with 16 en suite bedrooms, adjoining Beefeater restaurant & riverside garden. Plenty of parking and only 3 miles from Loseley on main Godalming road. Close to Guildford High Street, free parking, 72 tastefully appointed bedrooms with private coach house apartments and penthouse accommodation. Modern, spacious hotel with 168 en suite bedrooms within 10 minutes drive from Loseley. Country pub in centre of Godalming with 20 en suite bedrooms, beautiful interiors with lovely garden and plenty of parking. Beautifully renovated barn offering 4 en suite rooms. Beautifully restored Country Inn with 18 comfortable en suite bedrooms and an attractive spacious bar and restaurant. An elegant country pub and grillhouse with 5 sumptuous en suite rooms oozing colonial charm and luxurious comfort. Newly refurbished boutique hotel with 13 individually furnished bedrooms. The hotel offers bed and breakfast accommodation but there is a separately operated pub and restaurant within the building. 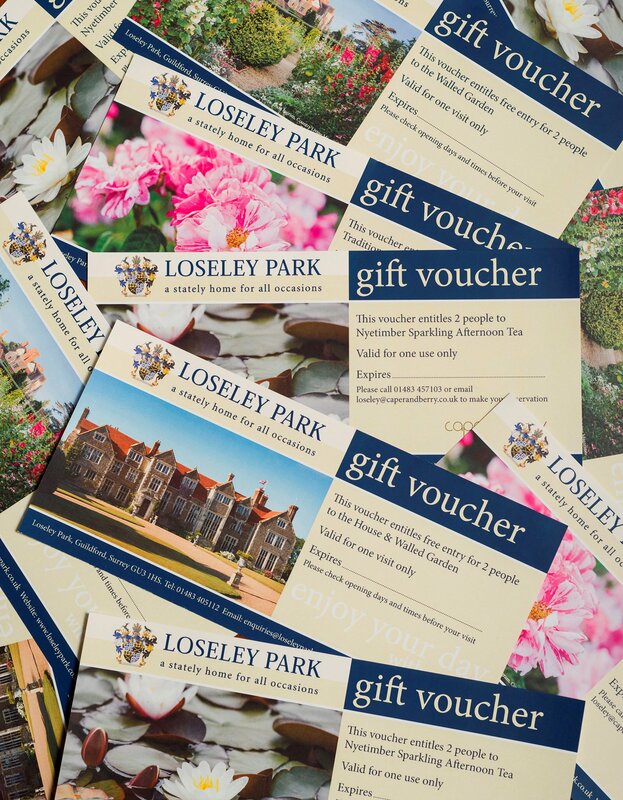 If you would like more information or to purchase vouchers please call 01483 405119 or email enquiries@loseleypark.co.uk. Payment can either be taken over the phone or made by cheque or cash and vouchers sent either to gift giver or to the gift recipient along with all the details needed to plan a visit.